Monday night, we saw two tag teams qualify for the finals to become the inaugural WWE Women’s Tag Team Champions. 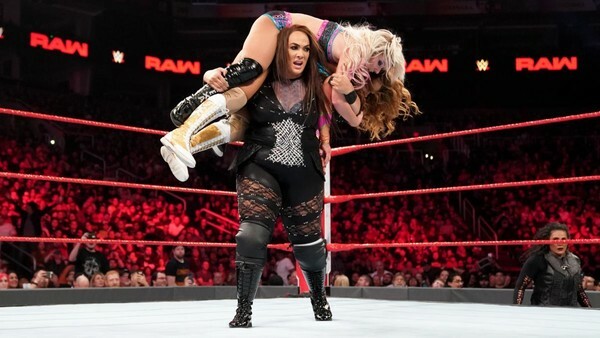 First, Nia Jax and Tamina used their size to topple the much-smaller Alexa Bliss and Mickie James. And then the Riott Squad overcame the makeshift duo of Natalya and Dana Brooke to advance. Neither match was anything special, with minimal heat or even flow to the matches. Honestly, they were kind of messes oveall. 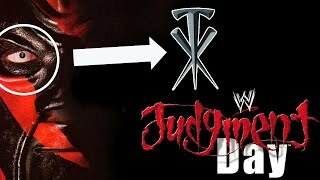 Four more teams will qualify (three each from Raw and SmackDown), and they will all compete next month at Elimination Chamber, inside the eponymous structure. That’s right, the Women’s Tag Team Championship will be determined in a match with no tags. Yes, this was mentioned last time, but it bears repeating because it’s that stupid.